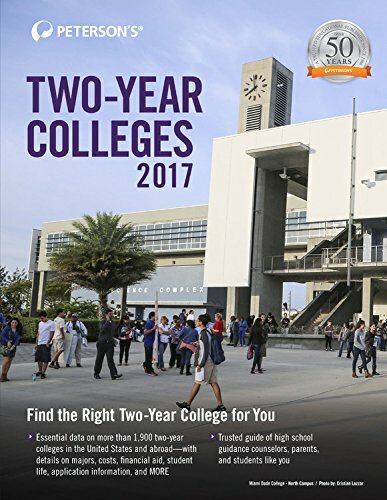 Peterson’s Two-Year Colleges 2017 includes information on nearly 1,900 accredited two-year undergraduate institutions in the United States and Canada, as well as some international schools. It also includes detailed two-page descriptions written by admissions personnel. College-bound students and their parents can research two-year colleges, including community colleges, for information on campus setting, enrollment, majors, expenses, student-faculty ratio, application deadline, and contact information. In addition, Two-Year Colleges offers articles that cover tips on transferring, advice for adults returning to school, “green” programs at community colleges, the basics of financial aid, and much more.